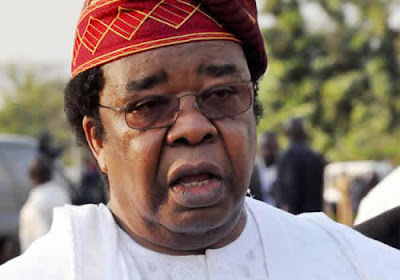 A former Minister of External Affairs, Prof. Bolaji Akinyemi, says it is misleading for President Muhammadu Buhari to blame past regimes for the failure of the country to save for the rainy day. Rather than demonise his predecessors by heaping blames on them for the country’s woes, Akinyemi, who was the deputy chairman of the 2004 National Conference, told Buhari to blame the country’s plight on the constitution. According to him, the failure of the country to save was rooted in Section 162 of the 1999 Constitution, which made it mandatory for the largest chunk of the revenue generated by the country to be deposited into a central account for onward distribution among the federal, state and local governments. The ex-minister, however, said his intervention was motivated by the desire to focus the government’s attention on the real solution to the nation’s problem. He said, “If we have to lay blame, it should be at the door of those responsible for the 1999 Constitution. This does not mean Gen. Abubakar Abdulsalam alone, or the military regime alone but includes elements of the judiciary and civilians who were all instrumental in midwifing that constitution. As opposed to merely blaming his predecessors, Akinyemi advised Buhari to push for the amendment of the constitution by particularly modelling it after the Norwegian constitution. He explained that the Norwegian model involved pooling 100 per cent of government’s revenues from royalties and dividends into a central account with a provision that not more than four per cent could be withdrawn in a year. Akinyemi said, “What previous administrations failed to do and which the present Buhari administration should do is to single-mindedly drive a constitutional amendment that would follow the Norwegian model. “The Norwegian experience involves setting up a Government Pension Fund Global into which 100 per cent of the government’s revenue from royalties and dividends are paid. In any one year, no more than four per cent is allowed to be drawn from the account. Meanwhile, the General Superintendent of the Deeper Life Bible Church, Pastor William Kumuyi, has called on Nigerians to be hopeful of a better society. Kumuyi also called on the Federal Government to diversify the economy from oil to other sectors like agriculture and tourism. The cleric, who spoke at the Benin Airport on Saturday, en route to Delta State for a religious programme, noted that the citizens should be proactive rather than look at the “negative” side of the country. He explained, “(We have to) look at our economy and look at diversification, so that we are not just depending on oil alone, which everybody is realising now. He noted that with Nigeria at 56, there was the need to thank God for the progress made so far. On his assessment of the Muhammadu Buhari administration, Kumuyi said, “Sometimes in school, we allow the students to finish their exams before we assess them.